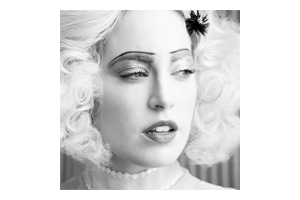 Charlotte Sullivan has come a long way from her first gig as an extra in a Liza Minelli music video way back when. The days of being “paid in pizza and coffee” are no longer now that this up-and-comer is working side-by-side with some of the biggest names in Hollywood. As if it’s not enough to be one of the main characters in Rookie Blue – which has been greenlit for a second season after just three weeks into its run – Sullivan has also been cast as blond bombshell Marilyn Monroe in History Channel’s upcoming mini-series The Kennedys, reportedly starring Greg Kinnear and Katie Holmes.